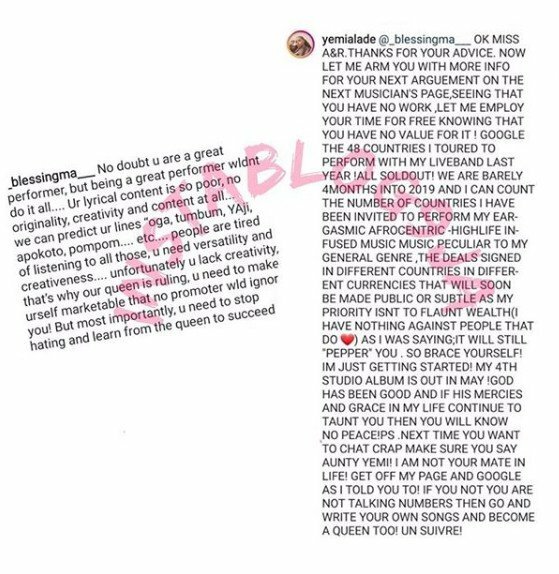 Yemi Alade recently blasted a fan who jumped into her comment section to criticize her style of music which she alleged is the reason she is not a success. According to the fan, Yemi Alade’s lyrics are not up to standard and are so predictable. The fan further disclosed that her style of music is the reason why Tiwa is shinning and she is not. 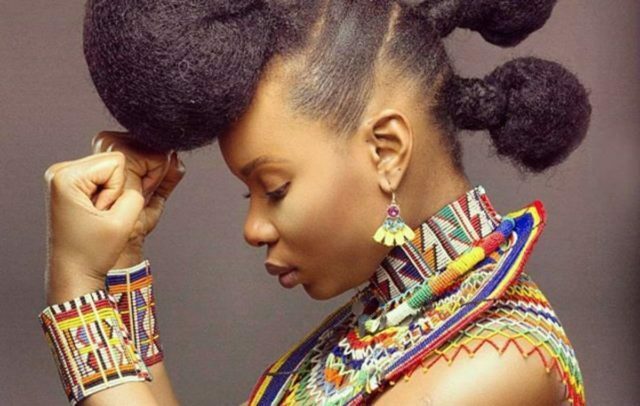 Reacting, Yemi Alade listed her achievements to prove she is doing amazingly well for herself.